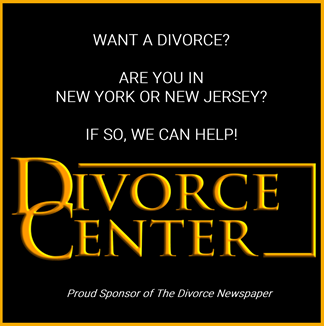 Home Celebrity Divorce Rudy Giuliani Divorce- Really Broke or Just Faking It? 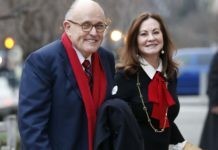 Rudy Giuliani the hotshot attorney who now represents President Donald Trump has been making the headlines for some time now and for all the wrong reasons. Rudy is well into his third divorce, but things are getting quite ugly. His wife Judith Giuliani’s attorney claims that while he continues to spend lavishly on his alleged mistress, he has been feigning poverty. The point of contention is the support he needs to pay his estranged wife Judith. He says his coffers are almost empty and his services to the President don’t really bring in any greenbacks because he’s working pro bono. Rudy, the former New York mayor’s earnings touched $9 million in 2017 and this year his earnings had dropped to under $5 million. 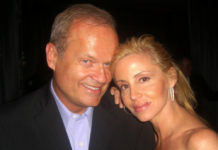 While his lawyer admitted in a Manhattan divorce court that this was true, he also stated that there wasn’t much of that left over as he had continued to support his wife’s ostentatious lifestyle. Bernard Clair, who is Judith Giuliani’s (nee Nathan) lawyer responded to this poverty claim and said that Rudy seemed to be suffering from what is popularly referred to as “sudden income deficit syndrome”- a moneyed spouse purporting to be poverty-stricken during a divorce case. 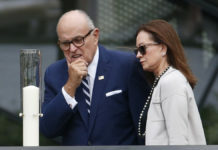 Clair also stated in Manhattan Supreme Court Justice Michael Katz court that Rudy Giuliani’s actions, earnings, and his expenses are entirely contradictory to his income diminishment claims. Giuliani’s lawyer Faith Miller was quick to retort that the SIDS remark Clair made was extremely insulting to her client. 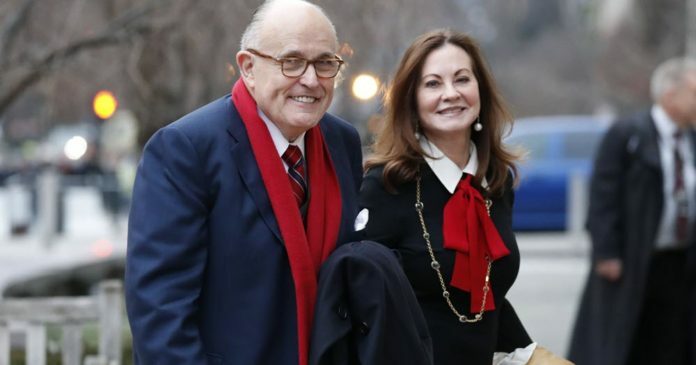 She said that with his meager earnings, Rudy is unable to meet his wife’s demands such as expenses for a number of their shared properties including in Southampton and Palm Beach. Nathan is also demanding that Rudy pay the assisted living facility costs for her elderly mother and is seeking a spousal support amount of $63,000 a month. Aside from this, Clair also mentioned that though Mrs. Giuliani has a profession, she chooses not to work even though she is far younger than Rudy. The 63-year old Judith had filed for divorce in April soon after Rudy made public his relationship with Maria Rosa Ryan, his mistress. There was some news doing the rounds that 74-year-old Rudy Giuliani had also cheated on his wife with a hospital administrator Ryan, just prior to their separation. Bernard Clair also alleged that Giuliani shelled out $286,000 for Ryan and her daughter as expenses over a period of five months. He added in court that while his client doesn’t really care about her estranged husband’s indiscretions, she is definitely concerned about the fact that he has been splurging on these women while refusing to pay spousal support to his wife. Giuliani’s lawyer said that the allegations made by Clair were baseless and has also requested a gag order to prevent Nathan from disclosing details about the divorce to the press. Supreme Court Justice Michael Katz stated that he would issue the gag order and the ruling in this case, at a later date. Previous article“The Goldberg’s” Jeff Garlin Files for Divorce from Wife After 24 Years of Marriage!